This isn’t that stick to your ribs ham bone pea soup but rather a lighter fresher version that’s still hits the spot on a cold night. In a soup pot sauté a chopped onion until soft then stir in a large handful of fresh mint leaves along with a smaller handful of Italian parsley. Add a couple boxes of thawed frozen peas and enough chicken stock to generously cover them, about four cups. Set the heat to low and simmer long enough to heat up the stock then turn off the heat. Let cool for twenty minutes then puree the soup in small batches in a blender or Cuisinart until smooth. 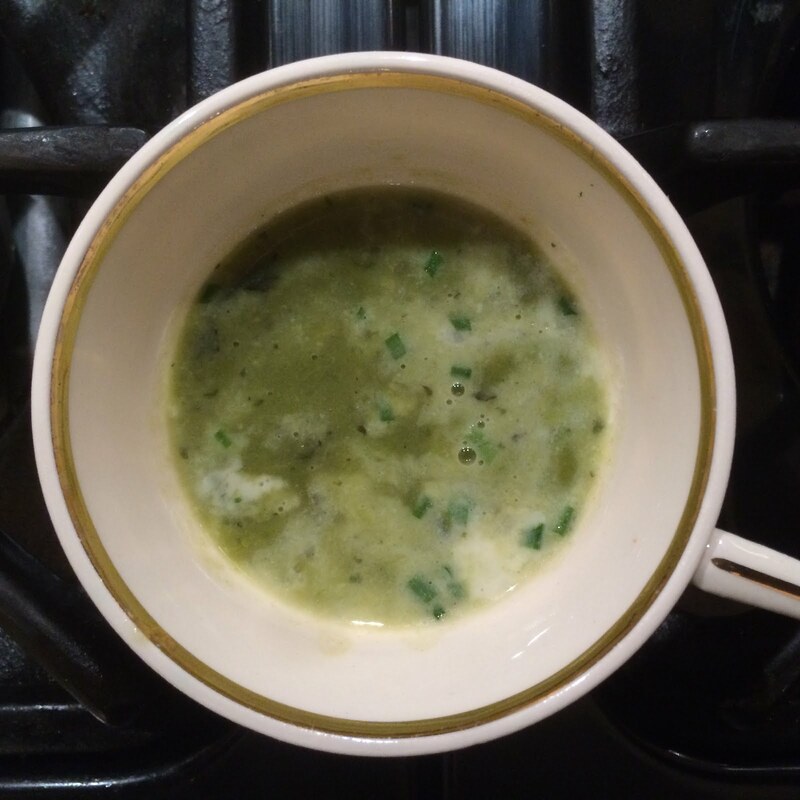 For the crème fraiche mix a small container together with some finely chopped chives and half a minced shallot and stir a large spoonful into each bowl of soup before serving.